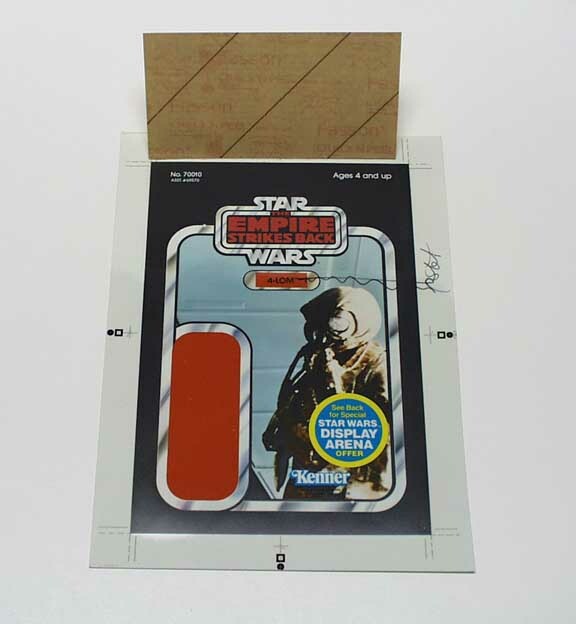 The packaging prototype shown here for the ESB 45-Back 4-LOM blister card is referred to as a cromalin. A sign-off checklist exists in the middle of the cromalin offering an area where various individuals from different departments could initial and date the piece signifying their seal of approval. 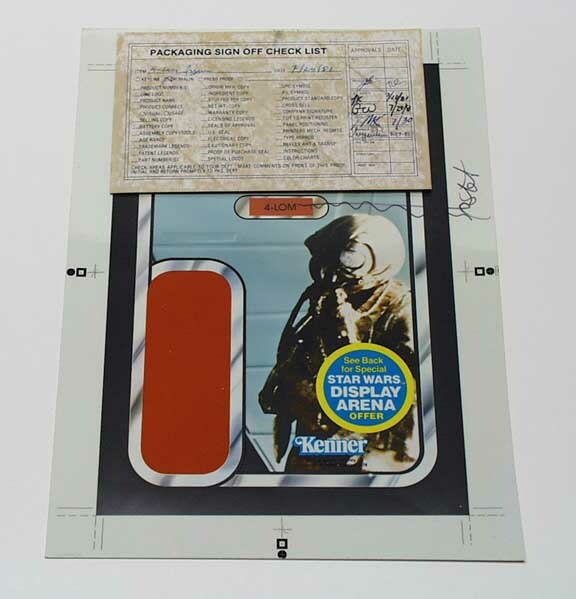 The second photo affords a clear view of the entire card front since the sign-off sheet has been folded upwards for this image. Notice that marking is present and appears to have referenced the trademark symbol next to the characters name, however it appears to have been scribbled out. It's possible and likely that the individual who made the notation caught his/her mistake or perhaps a subsequent reviewer nullified the notation. 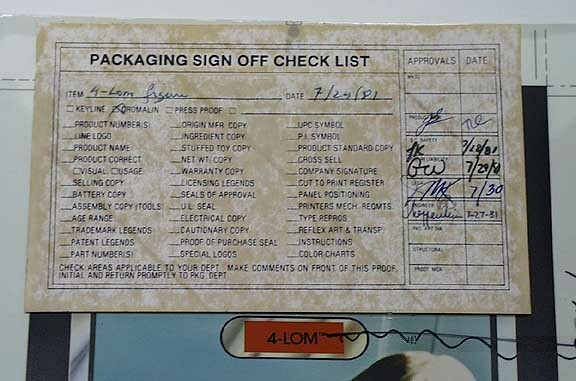 The final image shows a close up of the packaging sign off check list. The approval signatures and dates are clearly visible here. Other information contained on the check list includes the character name along with a marking denoting the piece as a cromalin.